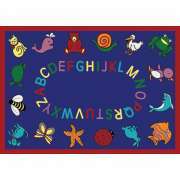 Animal Rugs for Classrooms: Shop From Our Great Selection! Bring the outdoors inside with Hertz Furniture’s attractive selection of nature rugs for classrooms. It is always good to add some color and visual appeal to your learning space, and classroom carpets are an excellent way to do it. We have lots of shapes, sizes and patterns to choose from so you can get a great fit for your reading corner or circle time area. 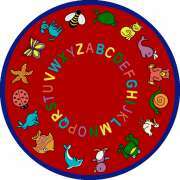 What kind of animals rugs can you get for a classroom? Animals rugs are colorful and exciting. Little ones are sure to enjoy searching for some of their favorite creatures while they are playing or reading on the floor. 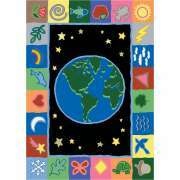 We have many designs which combine natural pictures with other educational themes such as the ABCs. How can I give my early childhood classroom a natural look? There are many ways to bring the natural calm of the outdoors into your learning space. 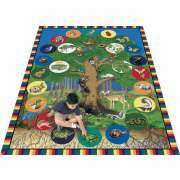 Nature rugs for classrooms are one great option. With themes that bring the beauty of the great outdoors to life, your young learners can enjoy the natural calm. You can choose a full scene or options that include pictures of various animals and plants. What can you do with a nature rug in the classroom? 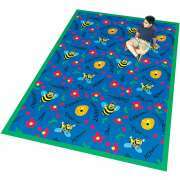 A good classroom rug will make a learning space cozy and comfortable. 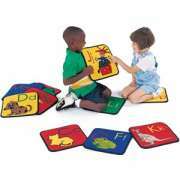 A creative educator will also be able to find ways to base activities around the carpet and its pattern. 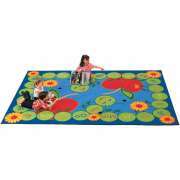 Nature rugs are particularly good for activities related to science and environmental consciousness. It’s never too early to start teaching little ones about going green and protecting the planet, and graphics depicting outdoor scenes and animals offer a great way to start some important lessons on these topics. 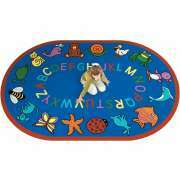 Can I get a rug with ABCs and animals? 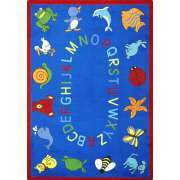 We have many different kinds of animals rugs including ones that incorporate the alphabet. With two great themes seamlessly combined into one beautiful design, there are lots of great classroom activities that can be based around these carpets. Children can be asked to choose a letter and find an animal that starts with it, or the reverse. Kids will have tons of fun looking at the familiar pictures and letters and making new connections every day. Not all nature-themed rugs have animals. Some include images which are related to astronomy as well as various seasons. These can be great for talking about weather and changes that are happening outside throughout the year. No matter what you are drawn to or looking for in kids rugs for your classroom, it’s important to make sure that it will look and fit well in the space that you have. With Hertz Furniture’s selection, any design you choose will make an attractive addition to your learning space.